We’re now three months away from the fly-in and our attendance list is starting to grow. The event will start Thursday, September 7th and conclude Sunday September 11th. If you haven’t signed up yet, please go to the Event’s Tab in the website > 2016 Minden Fly-In). Minden is a great place to fly, and the Airport and local community always goes all out for us. There’s a lot to do in the area, so definitely think about bringing the spouse or SO. If you’re looking to purchase a TMG, the Fly-In is the place to be as normally we have at least one of virtually every TMG model on the flightline. It’s also highly probable that we can get you airborne for a demo flight. We’ve made arrangement with the Carson Valley Inn for accommodations. We’ll be in their motel section as the entire Minden Valley has been booked for a long time with many events. The rate is $75 for Thursday and $89 on Friday and Saturday (plus $13% TOT). Ask for the TMGA room block rate. The rate is guaranteed only through August 18th, so you need to sign up soon. You need to book with them directly. Wednesday (optional) fly-in arrival. Local flying. Talk to the SoaringNV staff for some ideas if you’re not familiar with the area. Dinner on your own. There’s a restaurant at the Airport (Tail Dragger), one on the entry road (Flight), and many others in Minden and Gardnerville. Thursday – Official start of the fly-in. We’ll have coffee and donuts/fruit available for arriving pilots. Depending on who arrives when, we can set out some tasks, or just fun fly. We have a scheduled dinner that night at the Carson Valley Country Club – which is a Basque restaurant. If you haven’t been to a dinner like this, the food just doesn’t stop, and is served family style. The price is $40 per person total, including Basque wine. 9:00 Welcoming (R. Pearl (TMGA), Laurie Harden (SoaringNV), Bobbi Thompson (Minden Airport). Dinner – Options: (a) Lake Tahoe diner cruise - Delta Queen. The price is $75per person, all-inclusive (but excluding alcohol). This is a great trip that we’ve done before. The closeout on reservation is August 25th. We will leave for the Delta Queen about 5 PM; (b) Tail Dragger or Flight, or other restaurant on your own. 7:00 Dinner – Tail Dragger (on Airport grounds), or Carson Valley Inn. Details to follow. Logistics and Payments – Go to the Payments tab of the website, Events Pre-Payment tab. Here is where you’ll pay via PayPal or direct credit card for the registration fee and dinners. Our dinners need to be pre-paid in advance. As noted above, the Lake Tahoe Dinner Cruise has a August 25th hard date; the Basque dinner has a September 5th hard date. Arrival Information - Minden can be a challenging airport, with many different types of aircraft movements (GA, corporate jets, gliders, helicopters). Check the airport directory for details. Once landed, please come to the SoaringNV office located facing the main runway (1138 Airport Road). Contact SoaringNV with any questions: 1.775.782.9595. You will probably be met during your taxing by the friendly airport staff. We’re trying to get all our aircraft in one general location. Be sure to bring your own tie down rope/chains – just in case. 1. Registration fee is $20 per aircraft (including one pilot); $10 per additional pilot/participant. All fees to cover hard costs associated with the Fly-In. 2. Aerial photo opportunity with Andy Robinson. Just picture your TMG set against the Lake Tahoe backdrop. This requires an early launch. Contact Andy at: andy@bidandy.com. Cost is approximately $100, depending on the number of participants. 3. When you arrive you will be given a Welcoming packet, including the Airport tie down form ($8/day). 4. If you are interested in a BFR, or specialized training, i.e. 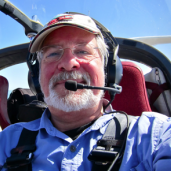 thermaling in gliders (your ship or a pure sailplane), contact SoaringNV directly. Optimally this would be done before Friday so we can all enjoy the group fly-outs. 5. Rental cars – this can be arranged through Hutt Aviation. They use both Hertz and Enterprise. They will have special rates, and you need to book directly with them: 1.775.782.8277. 6. The Reno Air Races are September 14 – 18. Think about staying over to see some of the world’s best racers ply their trade. Thursday and Friday are the primary practice days, and the crowds are less, as is the pricing. Finally, if you’re one of the TMGA’s non-USA members, consider coming to this slice of soaring paradise for a holiday. I’d be happy to help you plan your time with us for other area explorations.